I recently started a new job and went to a business dinner with my colleagues for the first time. We went to Mamnoon, an upscale restaurant serving modern takes on Middle Eastern cuisines. We ordered a several dishes to share. 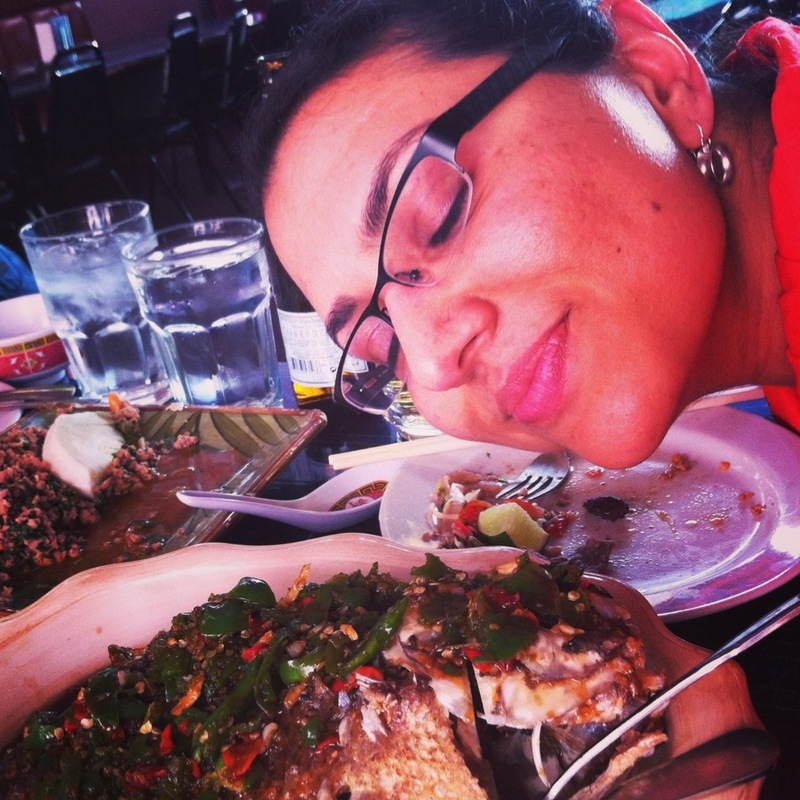 I was most excited about the samkeh harra, a whole roasted branzino. I’m sure it was not a pretty sight, and maybe I should have chosen something I could have consumed more elegantly, but that fish head was good! Cheek meat is some of the best on a fish. The next night, I had dinner at the Thai-Laotian restaurant Viengthong. This time I was with friends, and we also ordered a whole fish. It was fried and topped with chilis. I think I may have had to fight my friend Mahnaz for the head. 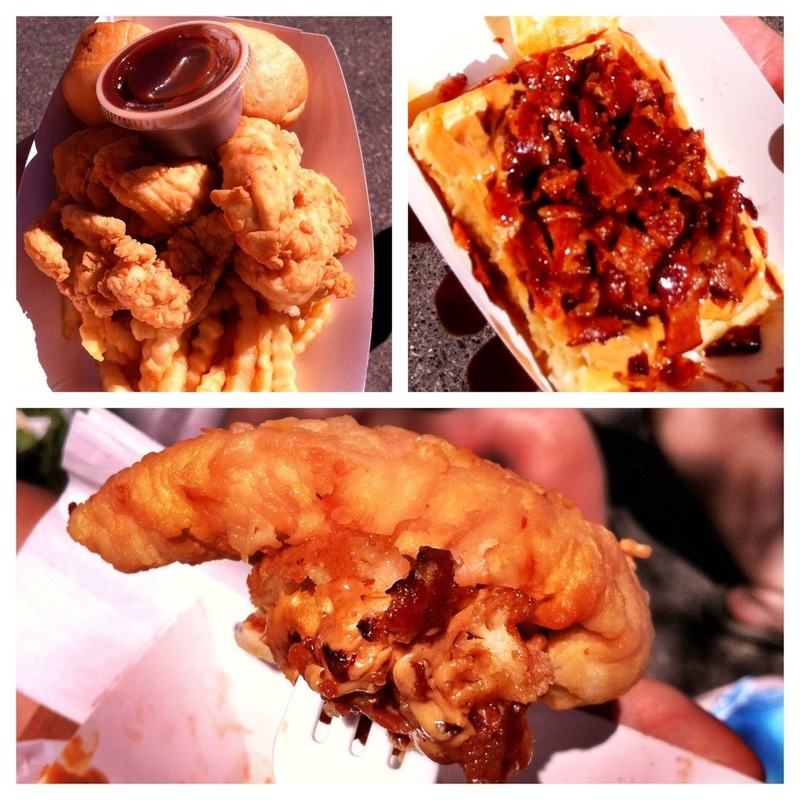 …and had a chicken strip/peanut butter and bacon waffle baby! The only way to make Off the Rez’s veggie fry bread taco even better was to pair it with a cucumber margarita. 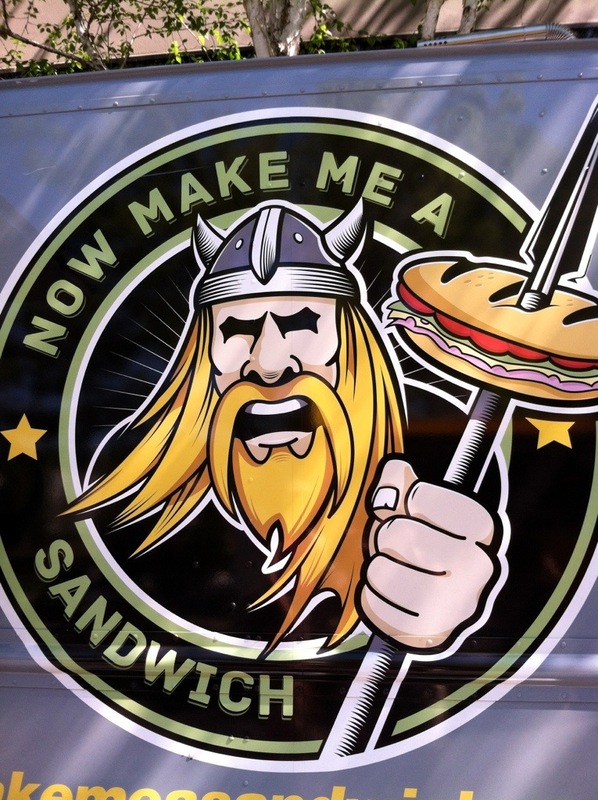 What kind of sandwich should I have expected from a food truck with this badass logo? 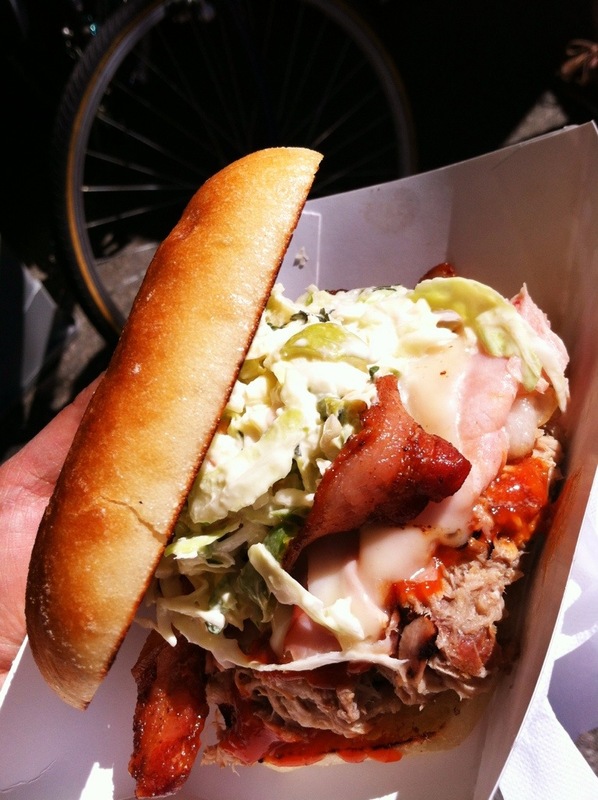 A sandwich with THREE different kinds of pork–pulled pork, ham and bacon–topped with apple jalapeño slaw. It was appropriately named, “The Bad Lieutenant,” and it was my favorite dish at the Mobile Food Rodeo. I love many things about the multitude of food truck events that have become a regular part of Seattle’s culinary calendar. I love the laid back, family-friendly vibe. I love the thrill of discovering that perfect bite. I love how people turn out in a big way to support small business. What I don’t love? The lines. The incredibly long, interminable, soul-crushing lines. So it was an easy decision for me to buy a VIF ticket to Seattle’s biggest street food event, the Mobile Food Rodeo on May 5. For just $25, I’ll get the chance to get in an hour early to the event and skip the lines with all-day priority line access. For those who like swag, you can pay $45 to get the VIF treatment along with an urban picnic tote bag, a commemorative patch, a 2013 Fremont Outdoor Movie season pass for two, and a Mobile Food Rodeo T-shirt. 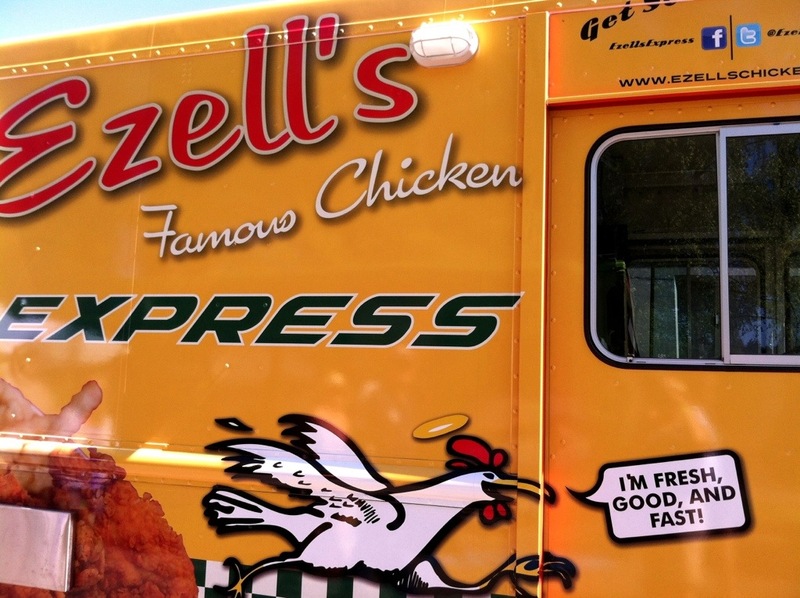 On Sunday, I’ll make a beeline to these three trucks making their big-time debut: Ezell’s Express, Barking Frog Mobile Kitchen and How Pickle Got Out of a Jam. I’m also excited about the Taco Libre Taco Truck Showdown. My money will be on the barbecue pulled pork Indian taco from Off the Rez, with a possible upset by the Fish Basket’s crispy cod taco. 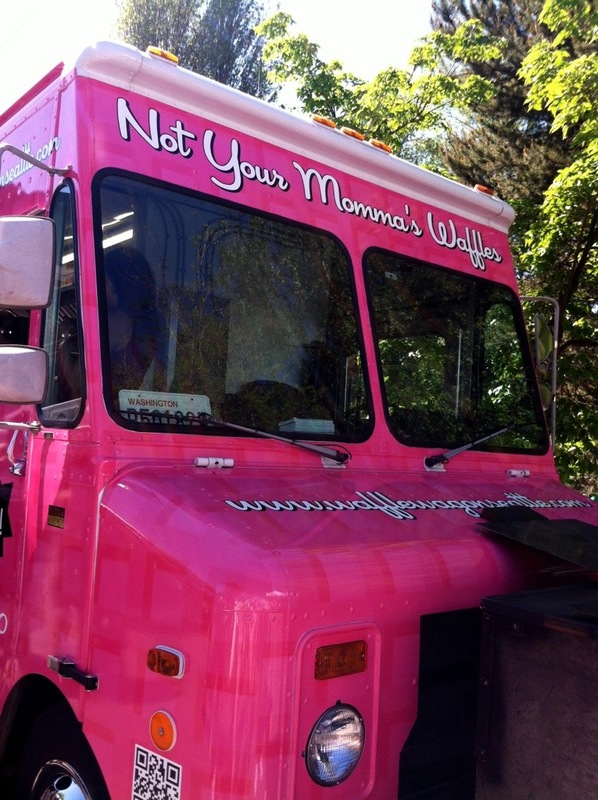 Of course, you can’t count out Marination Mobile and its “Holy Mole!” taco. 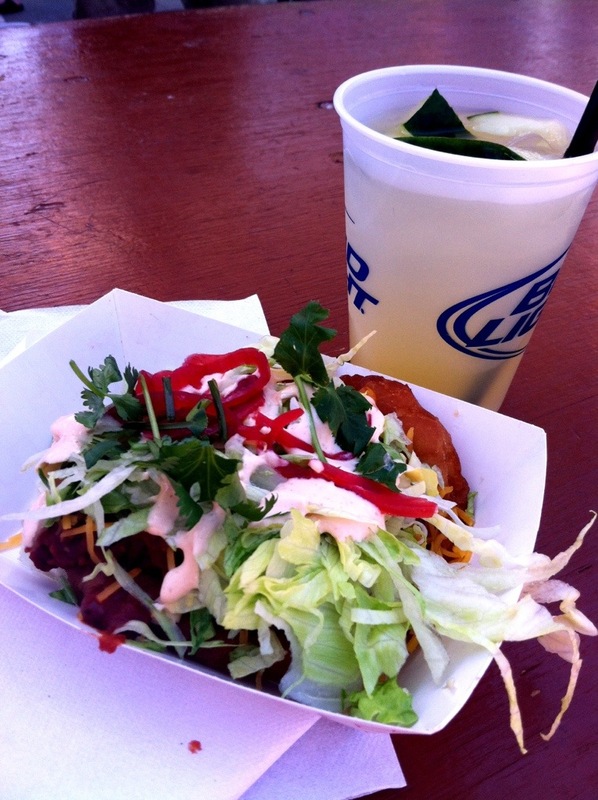 What are you looking forward to at the Mobile Food Rodeo?